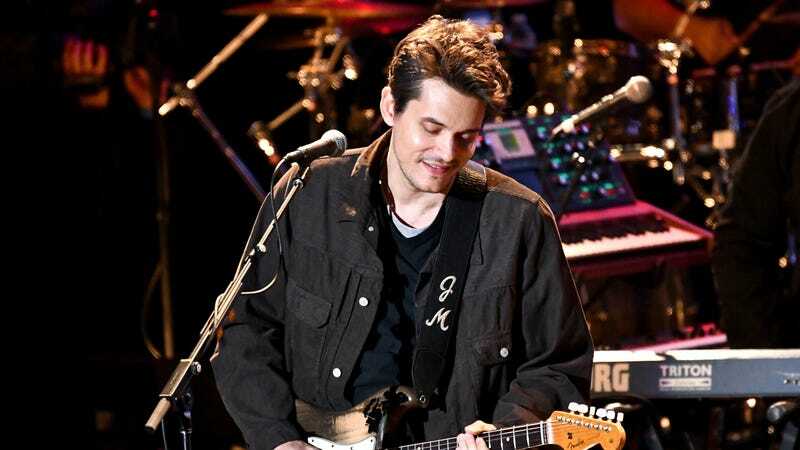 In what we can only assume was a real-life version of that old SNL sketch where Adam Sandler and Chris Farley try to pass off AC/DC and Van Halen lyrics as original compositions, ABC has announced that its latest stab at family drama will arrive directly from the mind (and discarded set-lists) of Mr. John Mayer. Specifically, THR reports that the network has ordered a pilot for Heart Of Life, based on a song of the same name from the crooning singer-songwriter’s 2006 album Continuum. The lyrics of Mayer’s tinkly, breathy non-single are pretty generic stuff: You’re gonna cry, but then you’ll stop. Friends: A+! Hardships: Not so much. It’s not clear how writer Ben Queen (from NBC’s rapidly imploding superhero sitcom Powerless) will adapt them into the story of two adult siblings meeting to bond about their shared father, but, you know, at least the themes seem as universal as any other vaguely inspirational mid-2000s pop track. ABC’s pilot ordering strategy has seemed a little, shall we say, scattershot this season. In addition to just straight-up copying lyrics off a Starbucks bathroom wall, the network also went to the graphic novel well for Greg Rucka’s Stumptown, and then just started free-associating until it came up with the Bermuda Triangle time travel family drama it’s calling Triangle. ABC plays TV pilot Mad Libs, comes up with "Bermuda Triangle time-travel drama"